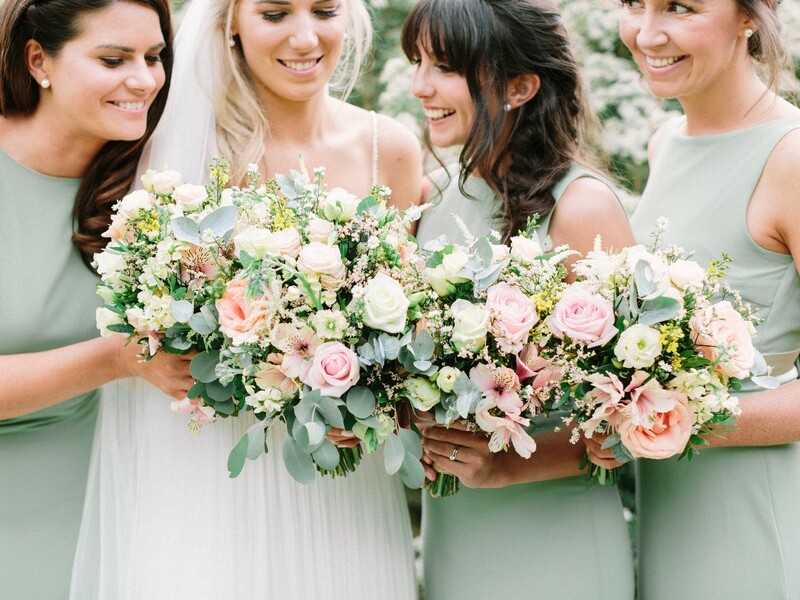 At Bloomsday we specialise in natural, country garden style bouquets and wedding flowers. We make the most of your budget by carefully buying the best in seasonal flowers direct from Holland, using our twenty years experience and a real interest and love of flowers. 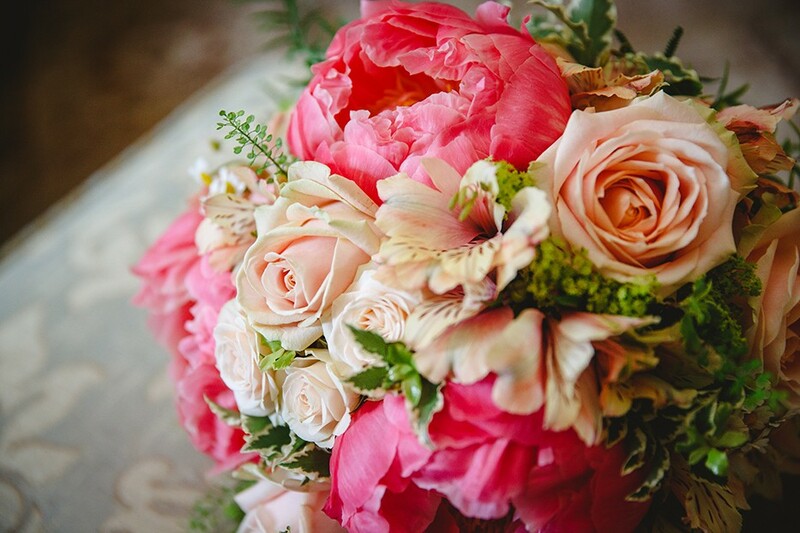 We have a full service approach to weddings, and take care of everything regarding your flowers on the day. We deliver your bridal party's flowers to your door, dress the church, and even move the flowers on to the reception venue. Let us take care of the details! 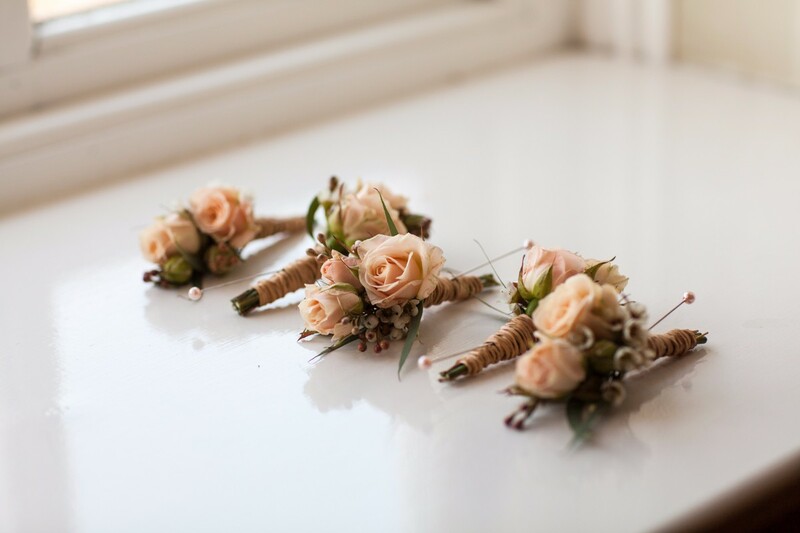 Check out our Wedding Flower Gallery, we have literally hundreds of photos of our own work, so that you can be confident that your flowers will look beautiful on the day. Visit our website to get ideas for bouquets, church flowers, and venue decor. 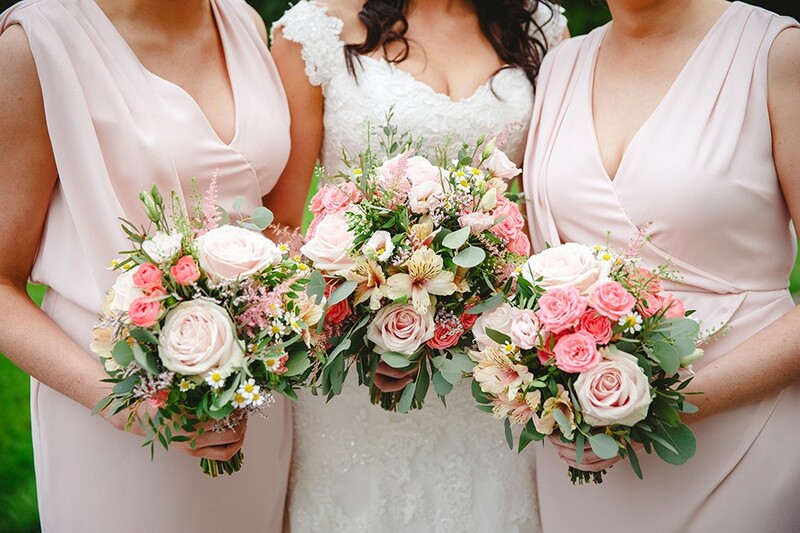 Bloomsday Flowers are florist from Carrigtwohill, Co, Cork servicing weddings throughout the local area including Cork City, East Cork, and Munster. 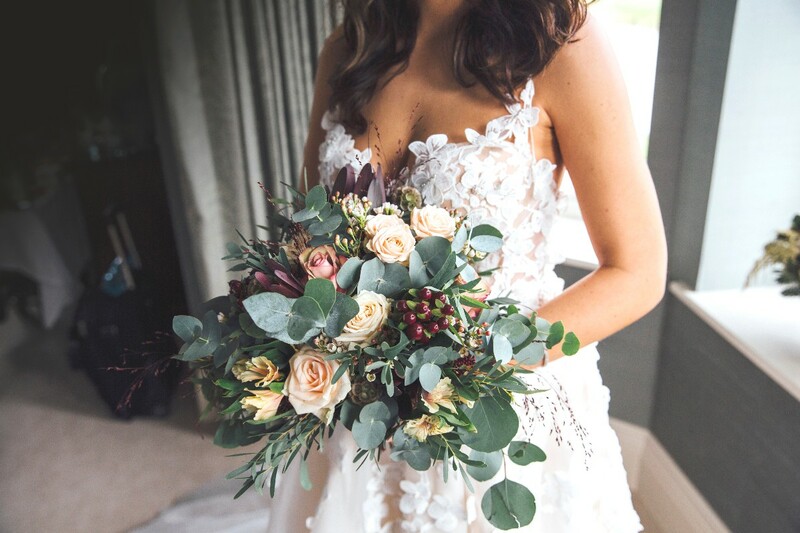 Bloomsday Flowers are a professional floristry team who has been part of the Irish wedding industry since 2006 specialising in country garden style wedding flowers. Jesse from Bloomsday flowers was an absolute pleasure to work with. She was innovative and creative with our decorative ideas; creating the most magical atmosphere for our autumn wedding whilst working within our budget. I highly recommend Bloomsday Flowers to any couple planning their wedding day! Thank you so much Yvonne, loved working on your wedding, it was magical! Everyone still comments on the photos, has been inspirational. Bloomsday Flowers do absolutely beautiful work, and they were a pleasure to interact with. We spoke with Jesse twice in advance of our wedding, and she took time to understand our preferences and ideas. 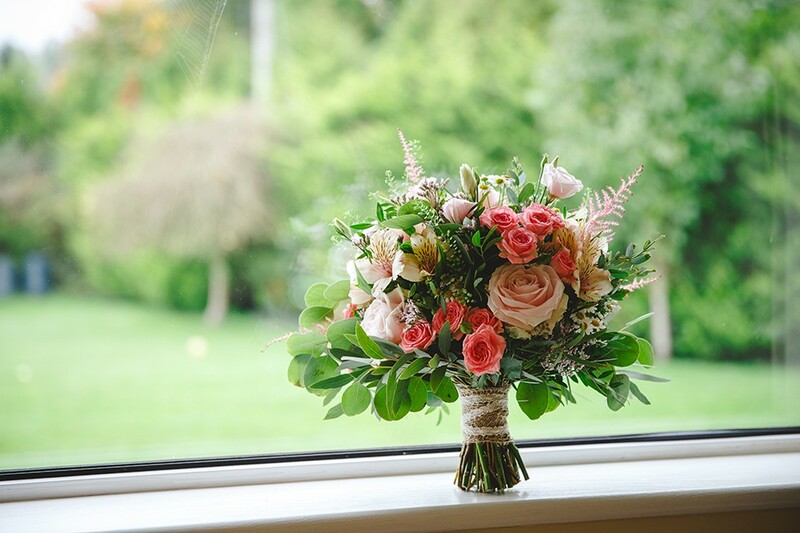 She was helpful, professional, and organised in all of our conversations, and when our wedding flowers arrived on the day, they were beyond what I had hoped for. I would highly recommend Jesse and her team. Thank you Sarah, it was lovely working with you as well! 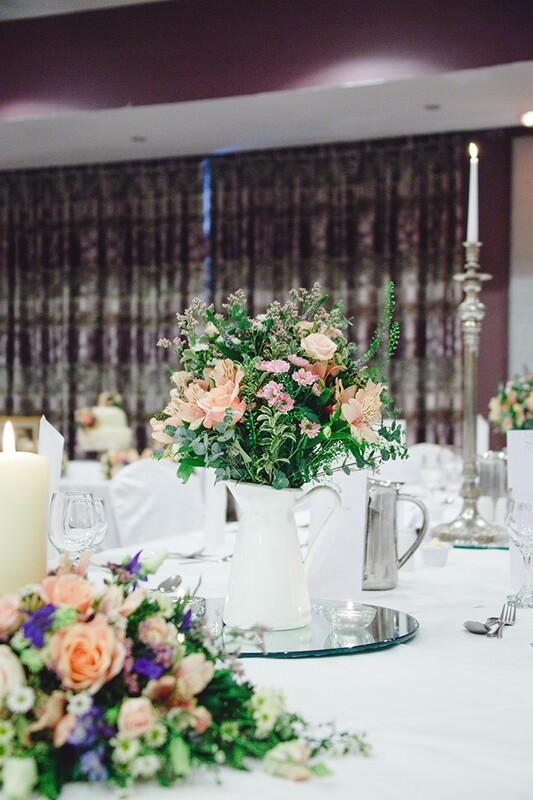 Bloomsday flowers did an amazing job at our wedding on 20 October 2018 in Garryvoe Hotel. The bouquets and arrangements were stunning! We met with Jesse twice before our wedding day and she was incredibly helpful and enthusiastic. 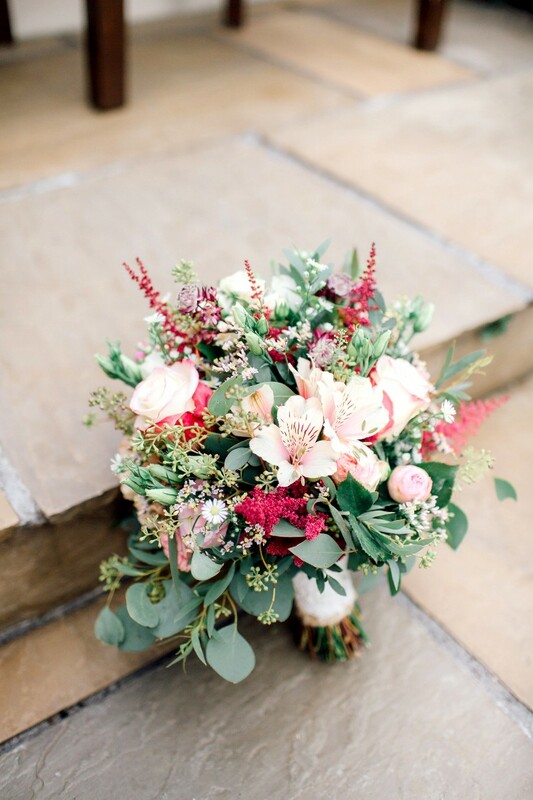 Being an Autumn wedding we wanted lots of autumnal colour and textures and Jesse gave us exactly that and more! All the arrangements from the bouquets, to the chair poseys and to the buttonholes were absolutely beautiful! On the day all the arrangements were perfectly laid out and Jesse went to great lengths to make sure everything was just right. We were thrilled to have bloomsday flowers for our wedding and we highly recommend Jesse and all the staff at bloomsday flowers - 5 star service the way! Jesse was awesome to deal with from the very beginning. I planned my wedding from Australia and had to do a lot of planning online and Jesse made this so easy for me. I was delighted with my flowers they were incredible. Everyone commented on how gorgeous they were. I wanted shades of pink and the pulled together wild flower like bouquet and Jesse knew exactly what I meant and I was happy to have her create something for me with no more information from me. Also I would like to mention that she went out of her way on my wedding day and added a few extra special touches and that meant a lot to me. So happy that you loved your wedding flowers, I really enjoyed working with you on your very special destination wedding! We were absolutely delighted with our flowers & the professional service. Jesse is a perfectionist & is reliable & easy to work with. She has loads of inspiring ideas. The flowers were beautiful. The bouquets were very full and colourful, which I wanted. Lots of different shades and textures of flowers. It’s clear to see that Jesse is very passionate about flowers and her job. I showed her a picture of my bridesmaids dresses and told her what I was thinking, then Jesse showed we what would be in season and steered me in the right direction. Bloomsday flowers delivered to my house and church in county Limerick. They are very professional. Responding to emails promptly. Everyone complimented my flowers on the day and I wanted my bouquet in as many pictures as I could have them. Thank you all at Bloomsday Flowers ???? Thank you Lisa, delighted that you were happy with your flowers, really enjoyed creating them for you! Jesse is absolutely amazing at what she does and we wouldn't hesitate on recommending her. Hassle free quality service with very reasonable packages. Jesse is well able to work within your budget and is happy to accommodate and advise when the process is very daunting. Jesse made me realise that my flowers were very important something I didn’t realise until I saw them. Thank you so much, loved working with you to create something special for your big day! Bloomsday Flowers were AMAZING to work with. Jessamyn has such exceptional style and skill and produced amazing and bespoke arrangements for our day. We had a civil ceremony and the focal point of the ceremony was the arrangement on the ceremony table and the stunning views of Oysterhaven bay. Everything from buttonholes to thank you bouquets were breath taking. Couldn't recommend Bloomsday enough. Thank you Laura, delighted that you were pleased with your flowers, I thought your ceremony looked amazing. Hope you had a wonderful day! The team were incredible to deal with, making the whole process seamless. Their taste was so spot on that it made decision making so easy. Everything they suggested just enhanced my initial concept to take it to next level gorgeous. their online portal made keeping on track of your order so easy, especially in those busy few months pre-wedding where you are trying to manage various appointments. On the day, the flowers were just exquisite! Incredible service all round and would highly recommend to any couple. Thank you Caroline, so happy we were able to work with you on your wedding flowers, hope you had an amazing day! Jesse did an incredible job styling the flowers for our wedding day. With minimal instructions, she created arrangements over and and above what we expected. She was always so professional and kept us updated in the run up to our big day so we were confident everything was in order. Our flowers were so beautiful and all our guests commented on them. I highly recommend Bloomsday to any future couples considering a wedding florist. Thank you both for choosing us for your special day, loved designing your bouquets, delighted you were happy with them! Jesse was a pleasure to work with & made the whole process easy. The flowers on the day were beautiful, we would highly recommend Bloomsday Flowers! 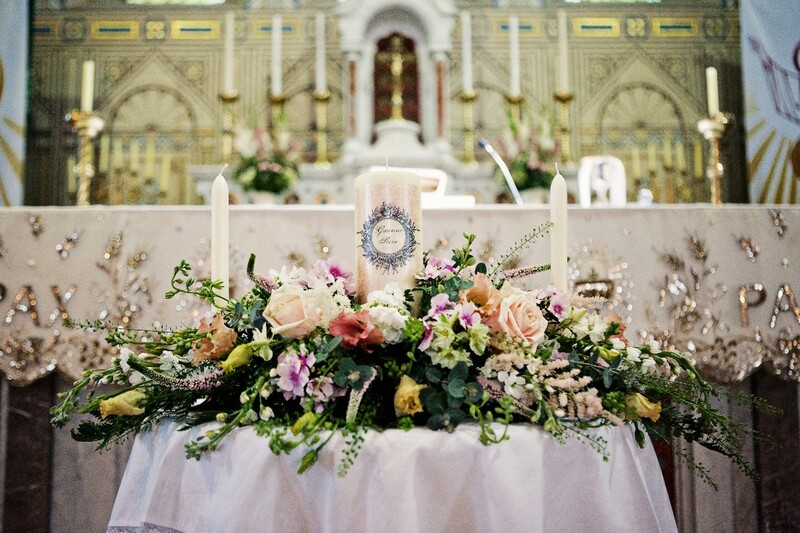 Bloomsday flowers did an amazing job on our wedding flowers , would definitely recommend them to future brides. Jesse and her team were great to deal with throughout and delivered breathtaking creations for our day , so happy we choose bloomsday! Thanks so much Sarah, was a pleasure to work with you! Jesse and her team worked tirelessly to provide us with flowers and decor that were beyond my wildest dreams. All of the floral arrangements on my wedding day were the closet to perfection that you would ever see. The Bloomsday123 contribution ensured that my wedding day was perfect. 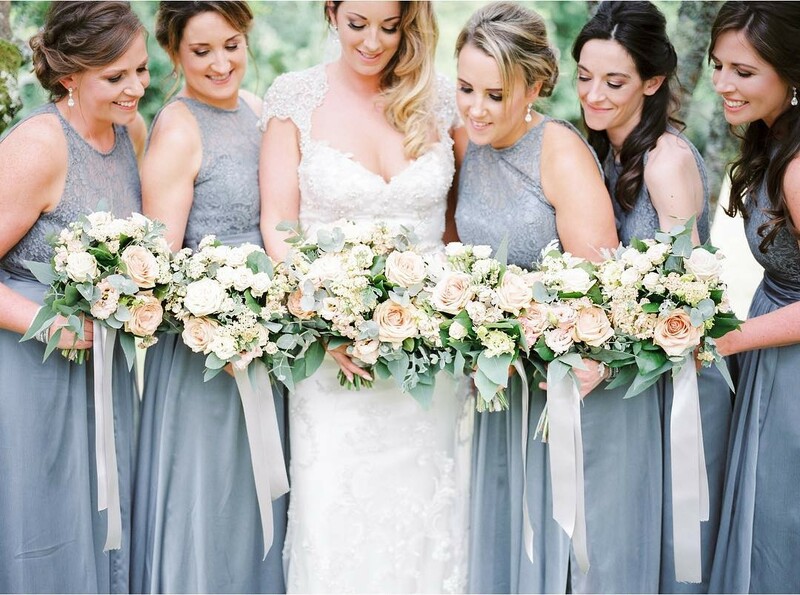 Jesse is not only an incredible florist, her wedding planning and decor advice were so helpful. Thank you Stephanie, delighted to be a part of your beautiful day! Jessie was fantastic to deal with from first meeting through to the wedding day. She understood our requirements fully and the end result was exactly what we wanted. Both the church and the venue looked outstanding with many of our guests commenting on the flowers. We would have no issue in recommending Jessie. Thanks Kate and Mark for choosing us for your team, really enjoyed working with you to create a beautiful wedding! I can’t recommend Bloomsday flowers enough. Our ideas were completely taken into account and they came with additional tips and options. The flowers were absolutely magical on the day of the wedding. The communication leading up to the big day was great too. Bloomsday Flowers really understood what we were looking for and in the end everything was more than perfect. Thank you Aniek, loved creating the flowers for your unique creative day! Jesse was great, we don't live in Ireland, and early on she was very responsive via email, and was able to accommodate our tight trip schedule for our initial consultation face to face. She knows the market and her products well. The flowers on the day of were fantastic --- as soon as I saw them in the box, I was giddy with excitement. Most importantly, they made mum happy (and she has very high expectations!). Highly recommended. Thank you Daryll and Michael, so much fun working with you, loved your energy and enthusiasm! Thanks Gemma, so much fun working with all the colour for your wedding, thanks for including us in your magical big day! We reached out to Jesse at Bloomsday for all the florals for our wedding. She was incredibly accommodating, esp as we kept adding on various floral arrangements last min over and over, and each time she came back right away with a new quote and a can-do attitude. The florals on our wedding day were absolutely exquisite!!! I look back at our wedding photos and the flowers just complete the visuals for the day!! Do not hesitate to book Bloomsday for your big day! Anny, thank you so much for choosing us for your wedding, you were a pleasure to work with and loved creating such a personal vision for you, loved how your flowers came out on the day. Review by Ciara & Micheal Daly. We were delighted with the helpful & personal approach from start to finish for our wedding. Thank you so much Deirdre, you were so much fun to work with, loved bouncing ideas and creating your pink perfection wedding day! Bloomsday flowers are absolutely amazing. I got married on the 16th of February and Jesse really out did herself. We met twice and discussed ideas and colours, Jesse just really understood what we were looking for down to the milk churns outside the church ???? Everyone was commenting on the flowers and the bridal party bouquets, they were stunning. Jesse was a pleasure to deal with and always ready with creative ideas. Thanks so much again Jesse you are so talented. Thank you so much Joanne! Loved working with you and delighted with how your flowers came out on the day. Most amazing flowers, we had so many compliments on them, they were stunning and natural, exactly what we wanted! Jesse has so many fantastic ideas we loved working on our flowers with her! Jesse in Bloomsday was fantastic to work with. She read my mind in terms of what I had pictured in terms of colours. My mind was blown when the bouquets arrived-I have never seen anything so beautiful. We still had some of the foliage dressing our table at Christmas. I never even saw Jesse on the day of the wedding but from the delivery of the bouquets to the church flowers and the tables in the hotel everything was spectacular. Highly recommend!!! Thank you so much for your kind words Jane. Really enjoyed working with you and your mum, it was a real creative challenge and we were delighted with the outcome, just a beautiful day. Jesse was fantastic from the first day we called to her beautiful shop in Carraigtwohill. She was full of suggestions and ideas. She went above and beyond to deliver the flowers on the day and set up the venue!!! I absolutely loved every detail of my flowers and the experience with Bloomsday!!! Thank you so much Caroline! Never have I met a more laid back bride, was a pleasure to work with you, it was a stunning day. Jesse was an absolute dream to work with, friendly and approachable and understood exactly the look I wanted. Thank you Ciara for choosing us for your big day, loved creating your flowers! Everybody remarked on my flowers for our wedding,they really popped in the photographs. Jesse was very thorough in her consultation with me,providing a clear vision of what she would do in terms of church decor i.e. 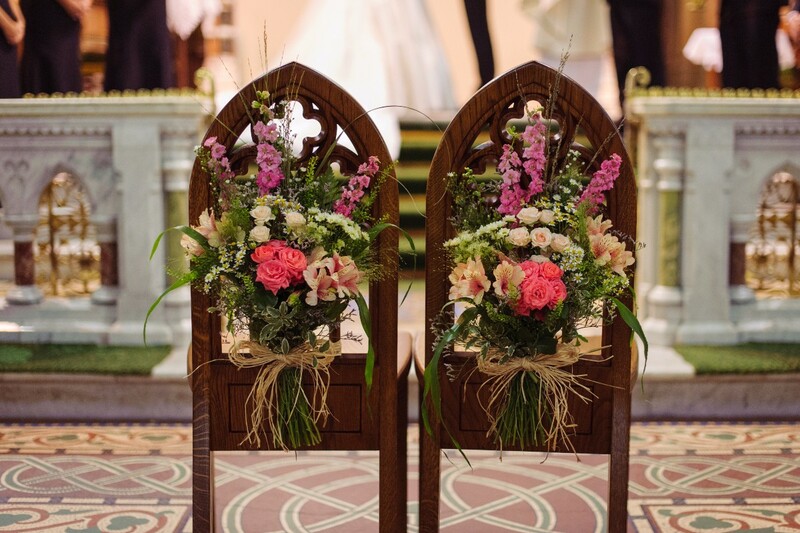 pews,altar and button holes.When my bouquet was delivered it took my breathe away.Bloomsdayflowers set the scene for our very special day with everybody remarking how beautiful they were. Thank you, Kiri, it was a pleasure to work with you too! Thanks for letting us share in your big day. Bloomsday were amazing to deal with. The flowers were out of this world. We got married in November 2016 and I was a little worried that id be hugely restricted with what we could have but Jesse has such a creative eye and great ideas that what we ended up with was perfect for our day. Everyone commented on our beautiful the Eucalytus swags looked in the church and they loved how we re-used the pew ends wrapped around the candelabras in our venue. Another genius idea of Jesses. We honestly couldn't recommend them enough I've been at my fair share of weddings over the years and I can honestly say I've yet to see a service that could surpass Bloomsday. Thank you so much Joanne! Loved working with you, lots of fun to chat with you and your mam and really enjoyed creating your wedding flowers! Wow! Jesse and her staff blew me away with their talent! An absolute pleasure to deal with! Jesse listened and understood my vision and completely exceeded my expectations. Not only did our flowers, pew ends etc look fantastic they smelled fantastic and the smell of eucalyptus will forever remind me of the happiest day of my life. Thank you Keva, loved working with you both! Delighted you were happy with the flowers, just love that look. Bloomsday were amazing to work with. Jesse had such a creative eye and great ideas. The flowers on the day were exactly how I had imagined and couldn't have been more perfect. Thanks Jennifer, loved designing for your exquisite wedding, so beautiful! Jessei was great to work with! I don't know much about flowers so she led the way and provided some amazing flowers! I'm not that into flowers but I really loved what she did. She had great ideas for the cake and church too. I couldn't recommend her more! Thank you Esther, really enjoyed working on your wedding day in your beautiful venues, delighted you were happy with your flowers! Absolutely beautiful!! Attention to detail amazing. Jesse I can not thank you enough for my beautiful wedding flowers. I want to get married again so you can do my flowers again :). To the brides to be out there if you are looking for beautiful standout creativity, great use & your monies worth on your flowers. Bloomsday's Jesse is your woman. Absolutely beautiful!! Thanks again. Thank you so much Norma, a pleasure to work with you as well! I ordered my bouquet for my wedding and they were very helpful. I was able to send them a pinterest board with what I liked, they advised me on lower and higher prices ranges, and they were able to accommodate exactly what I wanted. The bouquet was lovely on the day, and very like what I had imagined. Thank you Faye, delighted to work with you creating your dream bouquet! The service from Bloomsday Flowers was absolutely fantastic! I cannot recommend them highly enough. Jesse is a true artist and I was thrilled with the stunning flowers she created for our big day. She really listened to what I wanted and created flowers that perfectly matched my vision for the wedding. The package was exceptional value for money and Jesse couldn't have been nicer to work with. If you are looking for unique, stylish wedding flowers with a personal friendly service, pick Bloomsday, you won't regret it! Thank you Laura, you were both a pleasure to work with, made my job easy! Jesse, sincerely thank you for the fabulous job you did with our flowers for our big day. We were just so thrilled with everything. You did a fantastic job and we can’t thank you enough. 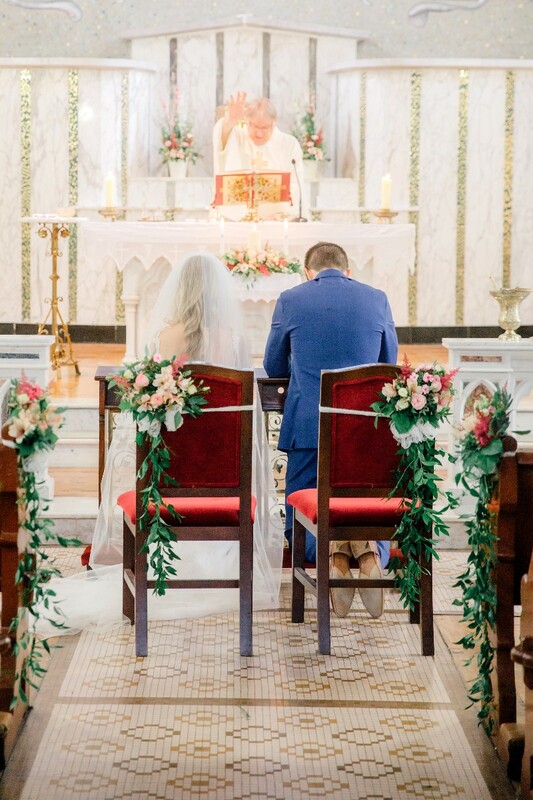 Everyone admired them and both the church and reception venue looked amazing. Thank you for helping to make our day so special. I am highly recommending you to friends and family who are getting married as I know you won’t disappoint. Thank you Stacey, really appreciate all your support for our shop, I've already had several brides in who were recommended by you! My husband and I traveled from Alberta, Canada to beautiful Gougane Barra for our wedding in May 2016. Planning a wedding from a distance was a huge challenge, but working with Jesse was a breeze! She knew exactly what I envisioned, and coordinated the delivery out to Gougane Barra and everything. I was not stressed in the slightest! 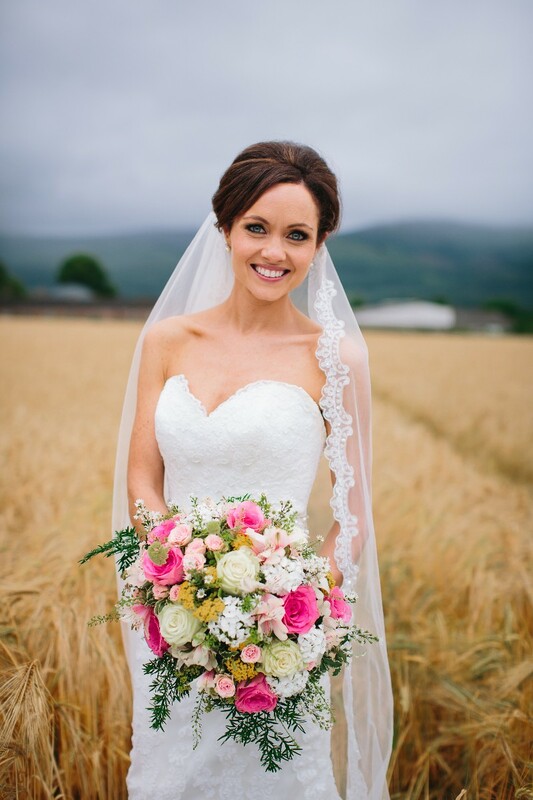 I would highly recommend her to anyone getting married in Co. Cork! Thank you so much Lauren, Gougane weddings are always so special, delighted that you were happy with your bouquets. Hi Great service! Stunning ????! They were fab, exactly what I wanted! Thank you Mary, pleasure to work with you, thanks for giving me a beautiful day out in the sunshine, memorable day! Jesse was very nice to deal with and had a very cool ,calm approach . I gave her general guidelines of what look I was trying to achieve but her take on it surpassed my expectations. Couldn't recommend Bloomsday highly enough. I found the experience of dealing with this florist upsetting. She is a talented florist, but quite brash. When we were negotiating on the price of the flowers for the wedding she used the terms "pleasant indebtedness" and "you don't want a Gyp wedding"- referring to the gymsalum flower, not gypsy- for what it is worth. On the day of the wedding she forgot that we had paid a €300 deposit, and proceeded to harangue me on the doorstep (in my wedding dress) for more money. She also has a contact for return of a €15 jug, that if you do not return, I dare not think what might happen. The flowers were stunning, everyone commented on how beautiful they were, but the florist was a diva. I am very sorry that you took such a personal dislike to me, I can assure you that recommending flower varieties, confirming deposits, and organising return of hired items are all business as usual and an ordinary part of all of the weddings we do. I am delighted that you were so pleased with your flowers. Jesse was absolutely amazing to deal with and has a true talent. I am still receiving compliments about the flowers at our wedding and have the most beautiful memories of all the intricate details. I cannot recommend bloomsday highly enough. Flowers were perfect, Jesse was brilliant, and familiar with the venue. Great service. Thank you for choosing us Julia, your wedding was amazing! Jesse was incredibly professional and flexible. She was happy to work with our budget and I could not have been happier with the results. Thank you! Thank you Laura lovely working with you! Absolutely loved my flowers, excellent job, great value. Bloomsday flowers has a particular style, if you like what you see in the pictures, you will like what you get. 5 stars. Definitely would recommend. Thank you Anna! Delighted that you were happy with your flowers! I cannot recommend Jessie and her wonderful Bloomsday Flowers highly enough. Living abroad, it isn't easy organizing every detail of a wedding, but having regular emails and phone chats with Jessie I knew I had nothing to worry about with flowers for our big day. She has a wealth of knowledge about arrangements and colors and I trusted her advice completely. 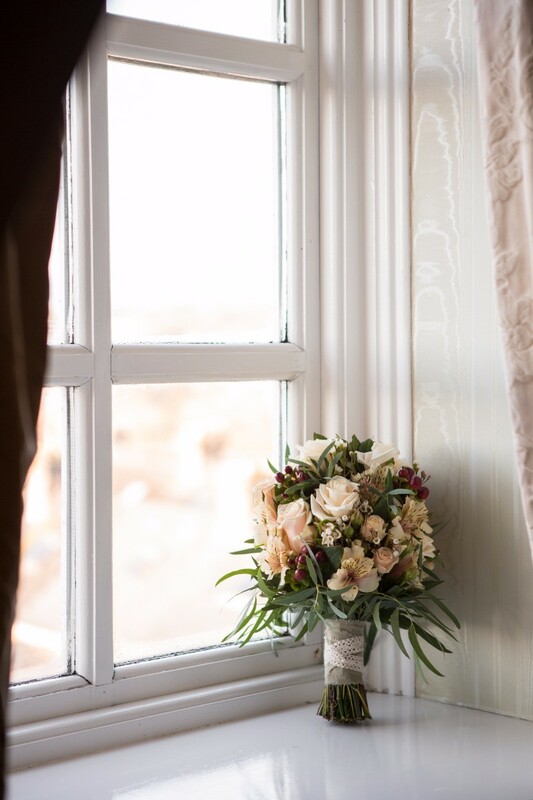 We were so incredibly happy with how everything looked on the day and I would have no hesitation in recommending Bloomsday Flowers to all future brides. Thank you Therese, delighted you were pleased with all your flowers! Delighted with the service. Really helpful and gave great advice! I love flowers and Bloomsday flowers lived up to my expectations! Thank you for your kind review Eimear! Couldn't recommend enough, Jessie was so helpful and honest, she gave great advice and the flowers were amazing on the day. Thanks for sharing a review, it is much appreciated! 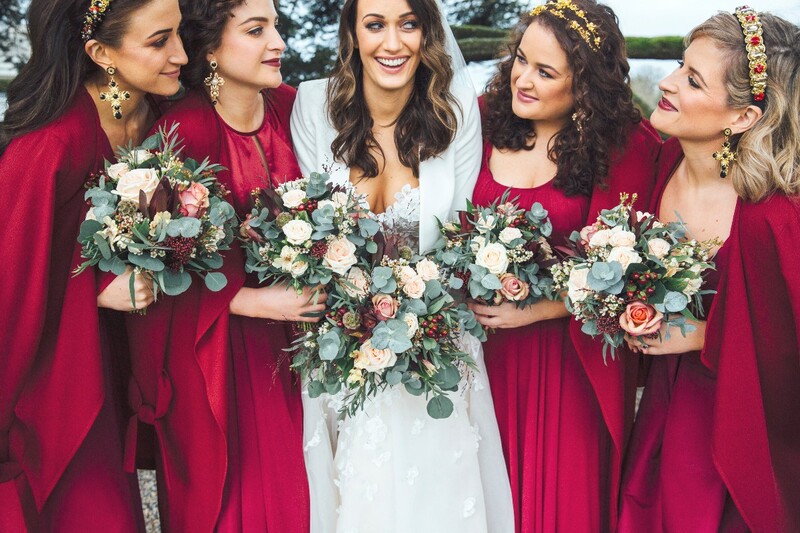 Thank you so much for your review Clair, loved working on your wedding and it has inspired the look of lots of our Castlemartyr weddings since! I would definitely recommend Bloomsday Flowers for a wedding. Jessie's knowledge of local venues and her advice to showcase them and the wedding party with your choice of flowers is brilliant. She is very accommodating on the day delivering flowers to the house and venue. Value for money was fantastic. Lastly the compliments we got on the day for the flowers reflected the great choice we made. Thank you Eilish, loved working with you and thanks for the opportunity to create a bit of drama in your flowers! I really loved dealing with Bloomsday. I told them that I liked the look of what I saw on the website, showed them the bridesmaid dresses and that was pretty much it. Everything was sorted by them from choice of flowers and style, down to the bouquets being tied with material to match my dress and decor of venue. I was especially impressed that they appeared at the end of the ceremony to collect the pew end bouquets and transfer them to vases for the tables. They also suggested using the alter flower arrangement on the mantle piece in Ballymaloe, which was perfect. Thank you so much! Huge thanks for the amazing flowers at our wedding. They were even better than I imagined and I loved them! Such a great servie and I have recommended you guys lots. Thank you for the beautiful flowers you provided for our wedding day-- they were perfect! We really appreciated your input and effort. 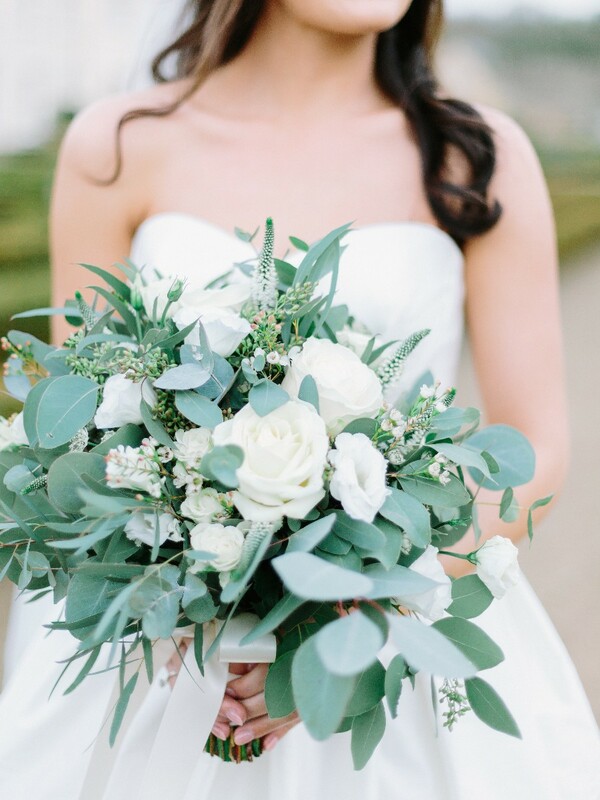 Ask the Experts - What Options Do I Have for My Winter Wedding Bouquet?